Do you have problems planning a party for your child’s birthday? With these birthday party games for kids, party planning ideas, and party themes, you can always have a unique celebration for your child’s birthday every year. What are the best kid’s birthday party ideas? 1. Have a celebration at home, at school, or both. You can ask your kid’s teacher whether you can bake some cupcakes and take them to school. This will allow you to save on the costs associated with holding a party at home. If you have enough money, you can hold the party at school and even at home. It all depends on how much you are willing to spend on this special day for your kid. 2. Invite friends (depending on your budget). Allow your kid to decide who they want to come. A party with only a few close pals can be a lot of fun– and much easier on a parent’s wallet. 3. Design and create some awesome birthday invitation designs with your kid. Always allow him or her to make his or her best designs. You child is the star of the day, after all! 4. 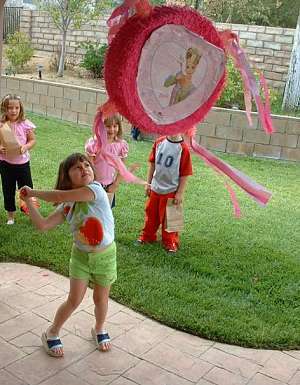 Allow your kid to make his or her own decorations for the party. 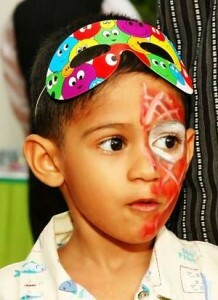 This will also help your child mentally for the birthday party, which can be overwhelming for some children. 5. Create your own fun. Let your kid choose the kind of music he or she wants to be played on this special day. This will allow your child to customize the big party even more. 6. Be creative with food. After all, you want your kid to enjoy his or her favorite foods on this special day! 7. Have backup plan at the birthday party. This will allow you to answer the question ”what about if something (performer, cake, etc.) does not happen?”. Most people ignore this possibility, but they very important for any celebration, no matter how simple. What are the best kid’s birthday party themes? What are the best birthday party games for kids? The above birthday party games for kids will not only help you plan this remarkable birthday party for your kid, but also help you save money!